The Best & Affordable Dental Services in Docklands, Australia. Instant Smile Makeover with Snap-On Smile at Southern Cross Smiles! Snap-On Smile is a flexible, reversible and non-invasive (no drilling, bonding or cementing of teeth). It is fabricated with a flexible material which wraps around your teeth and holds them tight, avoiding any movement whilst speaking or eating. Made of dental resin material, this appliance can give a reversible smile painlessly and instantly. 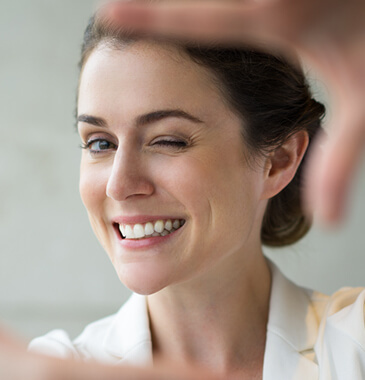 Patients can use this removable tool to cover up their natural teeth and get a reversible smile with no fuss.With our caring and excellent service, we fulfil the dreams of everyone who desires to get a Hollywood-like smile makeover. It’s an easy and affordable alternative to a permanent dental treatment like veneers. Our expert dentists have successfully offered Snap on Smile in Docklands for years now. And we are one of the few clinics which offer this service in Melbourne. Who can get Snap-On Smile? 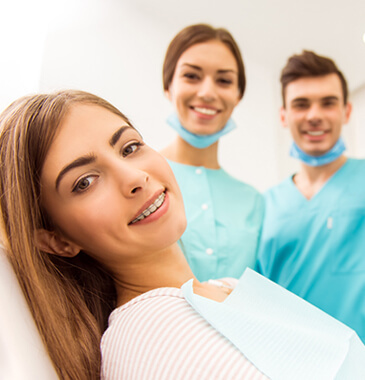 This non-invasive appliance is suited for patients who desire a beautiful smile through a process that’s completely pain free, flexible and affordable. We follow a very simple and customized approach for Snap-On Smile. Step 1: Initial consultation including taking impressions and intra-oral photos. The dentist will also discuss the shade guide and different shapes to suit to your taste. Step 3: Once it’s ready, we schedule an appointment for insertion. Snap it on and walk home with a beautiful smile!! Contact Us now on (03) 9670 0320 or make an Appointment Online. Avail initial 30 minutes consultation on Braces and Teeth Whitening services for FREE! You can discuss your issues and queries regarding these procedures with our expert dentists with no obligation. * Free Check up for Kids NOT eligible. Have any queries regarding our services? Drop us a message.